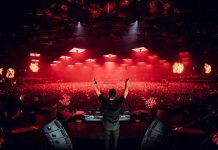 ADE 2018 is only 2 weeks away, and that means one thing for Nicky Romero and his Protocol Recordings crew: the countdown to the label’s biggest party of the year is officially on! 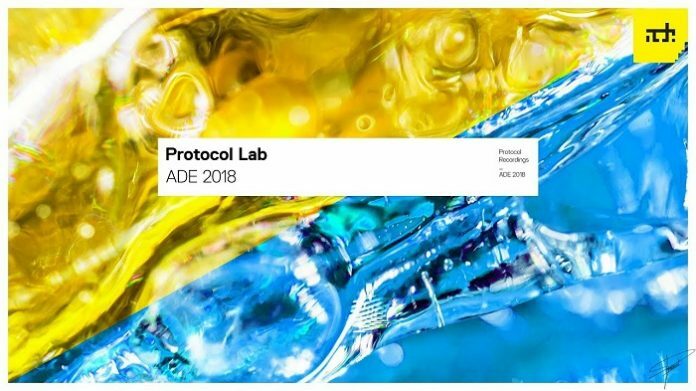 Protocol is gearing up for their ADE showcase on October 17th at Melkweg with the release of two “Protocol Lab 2018” EPs. Part 1 is out now with a variety of music from FaderX, AYOR, Funkybeat & Steve Hartz and Tim van Werd. Each track displays a different genre of electronic music, beginning with FaderX‘s signature upbeat and melodic sound on “We Found Love.” Protocol fans will recognize FaderX from their hit track “Rave Me,” which has amassed over 1.7M streams to date. AYOR brings the party with his heavy-hitting, rump-shaking club track “Booty,” which is the mysterious producer’s second release on Protocol after “Trap Like” with Teamworx. Next up is “Runaway” by Funkybeat and Steve Hartz, a lighthearted, disco-inspired tune that serves a nice juxtaposition to the rest of the EP. 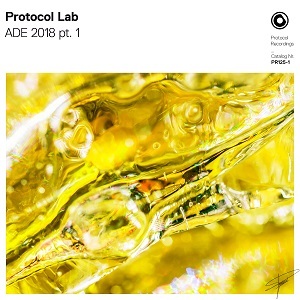 Protocol throws it back to their original sound on Tim van Werd’s vocal progressive house gem “Break the Night” to close the EP out, which is guaranteed to leave you in a party mood. Luckily, tickets to the Protocol ADE showcase are on sale now. 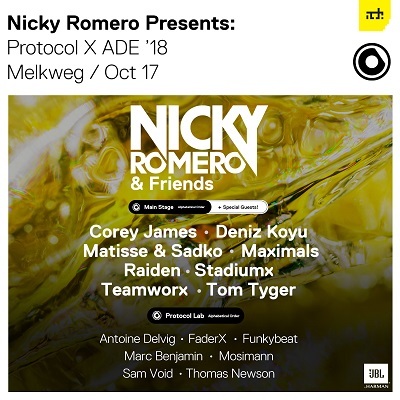 Protocol Recordings and Nicky Romero return to the iconic Melkweg venue on October 17th for the 6th installment of Protocol’s ADE showcase, and it is bound to be the best one yet. Featuring sixteen artists across two music rooms, the Protocol gang is taking over for a night of dancing, fun, intense energy, and upbeat vibes. The main room will play host to insane sets courtesy of Nicky Romero and his friends, Corey James, Deniz Koyu, Matisse & Sadko, Maximals, Raiden, StadiumX, Teamworx and Tom Tyger. If that’s not enough, wander into the Protocol Lab for cutting-edge performances from Antoine Delvig, FaderX, Funkybeat, Marc Benjamin, Mosimann, Sam Void and Thomas Newson. In past years, Nicky has brought some very special surprise guests, incl. 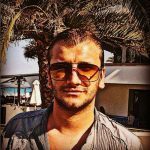 the likes of David Guetta, Martin Garrix, Armin van Buuren, Afrojack, Sunnery James & Ryan Marciano among others. 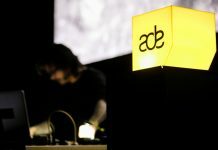 Additionally, Protocol has expanded their showcase to host stages at Tomorrowland Brasil, Sziget, and Balaton Sound, as well as hosting their recurring event during Miami Music Week, and no doubt they’ve picked up some surprises along the way. Get your tickets now and see you on the dance floor in less than two weeks!